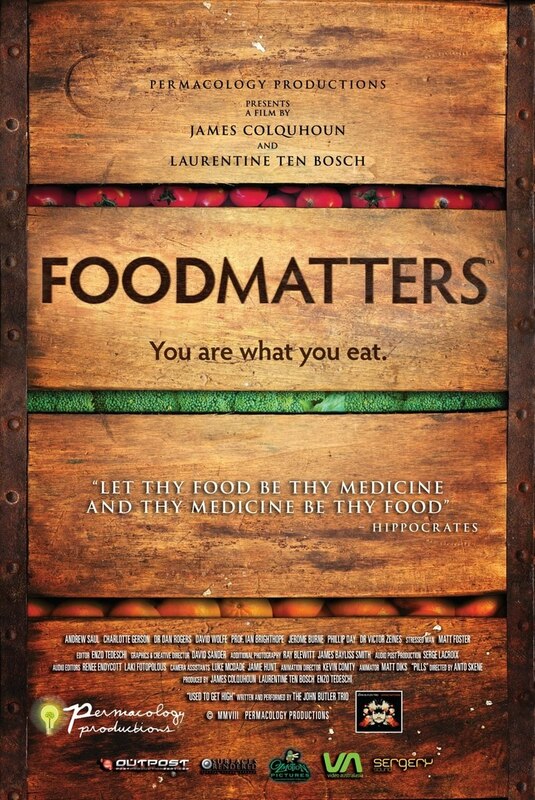 Hubby and I watched Food Matters not too long ago and I'm so glad that we did. Sometimes, I skip these types of documentaries, because they tend to upset me more than anything. The state of our food industry and nutritional health in America can make me crazy! This documentary is less about the industry and more about people taking charge of their own health and paying attention to what goes into our bodies. It urges us to look at our diets first, when illness arises. If you haven't already, see it! Let thy Food be thy Medicine and thy Medicine be thy Food-Hippocrates. 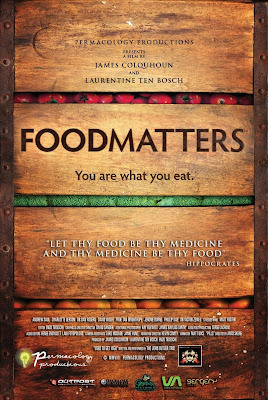 That is the message from the founding father of modern medicine echoed in the controversial new documentary film Food Matters from Producer-Directors James Colquhoun and Laurentine ten Bosch. With nutritionally-depleted foods, chemical additives and our tendency to rely upon pharmaceutical drugs to treat what s wrong with our malnourished bodies, it s no wonder that modern society is getting sicker. Food Matters sets about uncovering the trillion dollar worldwide sickness industry and gives people some scientifically verifiable solutions for curing disease naturally. In what promises to be the most contentious idea put forward, the filmmakers have interviewed several world leaders in nutrition and natural healing who claim that not only are we harming our bodies with improper nutrition, but that the right kind of foods, supplements and detoxification can be used to treat chronic illnesses as fatal as terminally diagnosed cancer. Subscribe between Oct 25th and Oct 28th. If you are already a subscriber, leave a comment about why Food Matters to you. Bring a friend to Crafty Earth Mama. Tell them to comment on who sent them, after they subscribe. Add Crafty Earth Mama to your blogroll. Winner will be announced Friday, Oct 28th! This DVD would be perfect for all of my outreach events. Got ya down HVT! This would be great to share with others.